Twelve years ago, as transcriptionist Sara Crafts remembers it, a “nice couple” walked into her home office in Oak Bluffs and asked if she could type up a series of extended photo captions for a forthcoming book. She took the job, not knowing it would lead to a life-changing collaboration. The captions were for Freedom: A Photographic History of the African American Struggle, written by Columbia University professor Manning Marable, a former Vineyard summer resident, and his wife, Leith Mullings. The project led Ms. Crafts to regular transcription work for Mr. Marable. The Marable-Crafts collaboration culminated in his seminal work, a 604-page biography of Malcolm X, eight years in the writing. Mr. Marable passed away at age 60 in April 2011 due to complications from pneumonia, just three days before the publication of Malcolm X. The book was listed as one of the New York Times’ Top 10 Books of the Year and was nominated for the National Book Award. And last weekend, Malcolm X won the Pulitzer Prize for History. 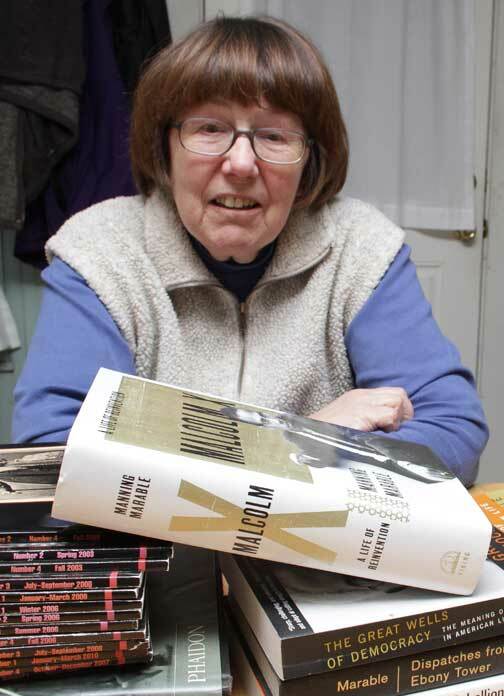 Ms. Crafts is no stranger to award-winning work—she typed up an early draft of Sophie’s Choice for William Styron—but working with Mr. Marable on the biography was different. “I used to tell him he should not be paying me, I should be paying him,” Ms. Crafts said. “It was the best job I ever had. He taught me something every time he called me on the phone. The transcription process was straightforward, a blend of early-twentieth-century quaintness and late-century technological prowess. Mr. Marable handwrote the entire book, faxing each page to Ms. Crafts. If he happened to be at his summer home in Oak Bluffs, she would go pick up pages at his house, after which she would convert his careful print—always pen, never pencil—into exacting type on her desktop computer. Work on the project began in 2002, but Mr. Marable was not one to simply focus his energies on a single tome. Between 2002 and the publication of Malcolm X in 2011, Ms. Crafts transcribed seven of his other books, including The Autobiography of Medgar Evers (written in collaboration with Evers’ widow, Myrlie Evers-Williams), countless speeches, a regular column (“Along the Color Lines”), and submissions to “Souls,” a Columbia journal of African-American studies Mr. Marable founded in 1999. “He never wasn’t writing,” Ms. Crafts said. But Mr. Marable’s voice lives in each of his works. And with the Pulitzer comes a near-certainty of his legacy as both a scholar and author. Nicely written story here, drawing a connection between such a humble task as transcribing and this estimable work of history. Good find. 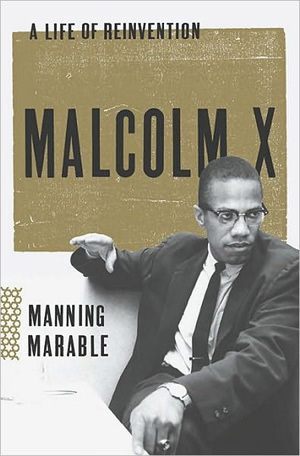 Thanks, Ivy -- The piece possibly should emphasize more this incredible book about Malcolm X, something Dr. Marable spent much of his life doing. I was but one of hundreds of people who contributed in a small way. Nonetheless, I thank you for this, for helping to continue to bring this book to people's attention. Thank you for your article on Sara.Crafts. It is wonderful that we have so many people on the Island with such diverse talent. I hope to get to meet her in person this Summer. She is a kind and compassionate person with a lot of hidden talent.